Sunday evening Men's Bible Study at 5:45 at the home of Daniel Wright. Wednesday Morning Bible Talk and Prayer Group meets at 6:30 am in the White Building. 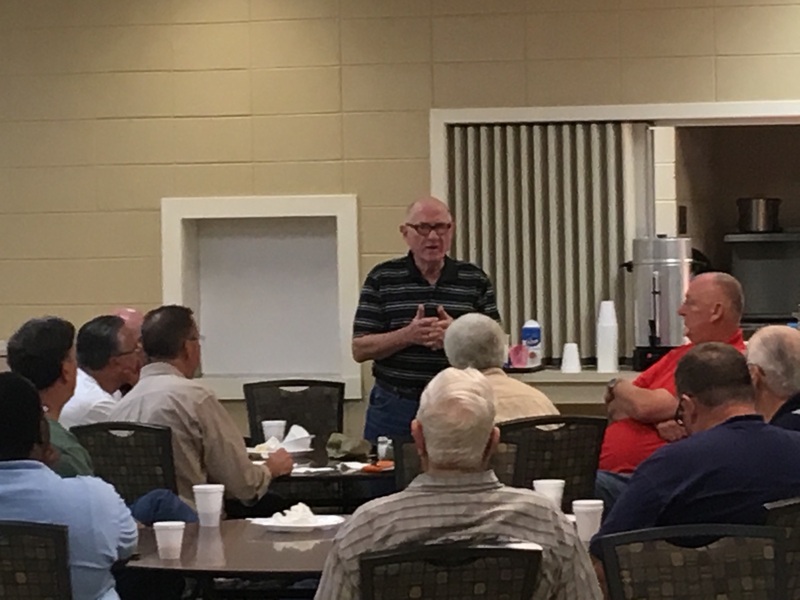 Jones County Community Wide Men's Discipleship Breakfast meets at 8am on the 3rd Saturday of every month in the Fellowship Hall. Patrick Morley, author of "THE MAN IN THE MIRROR," hosts a weekly Video Bible Study covering biblical topics related to men. For more information about Men's Ministry please click here to contact Dan Wright, Men's Minsitry Director. 25 men and 4 different churches represented. Brother Stanley Jones teaching about why we worship Satan. What is real manhood? Does it mean to be successful in our jobs and make lots of money? Does it mean being the perfect husband and the world's best dad? Or maybe it means being the most dedicated fan. Men, we are on a journey to biblical manhood to discover God's true design for us as men. Join us on this incredible year-long journey of biblical manhood as we focus on God's design for men with a clear definition and inspiring vision of authentic manhood. Become the MAN God designed you to be.